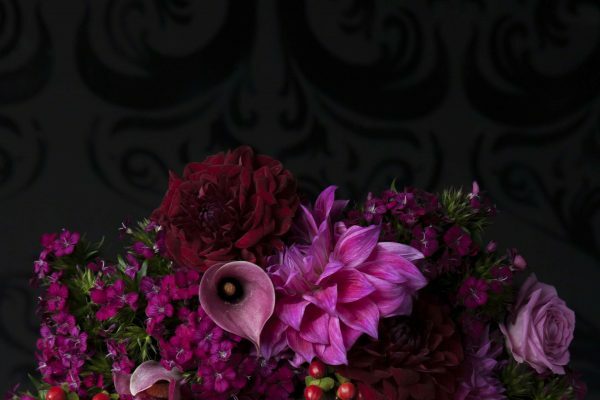 I was first introduced to Frida Kahlo when I did an art elective during my science degree (we could choose two elective subjects from any discipline – most chose to enhance their major study, I chose to do an art and a music subject). I vividly remember our lecturer talking about Frida, her life, and her paintings. Drawn to her style and the way she depicted her pain and suffering through her paintings, Frida has had a lasting impact on me. I’ve been fascinated by her art and her life ever since. 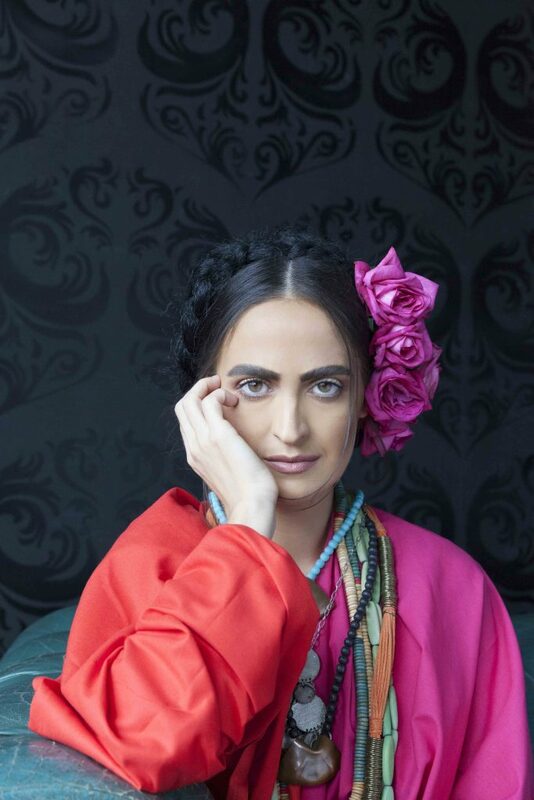 Frida’s art, her incredible personal story, her strength and bravery touch people in deeply personal ways as many can relate to her life and see some of her experiences reflected in their own (even if only a little). Her legacy seems to become stronger and stronger as the years go on with new generations of people and in particular young women discovering her. Her art is full of passion, determination and sorrow displaying a deep understanding of herself, her emotional life and her experiences. Although she painted her private sorrows in a very personal and intimate way, the themes within her painting are very human experiences – in doing so, she touches people in deeply personal ways. Through her painting, she tells the story of her life and her struggles through universal themes of love, heartache, loss, and grief. 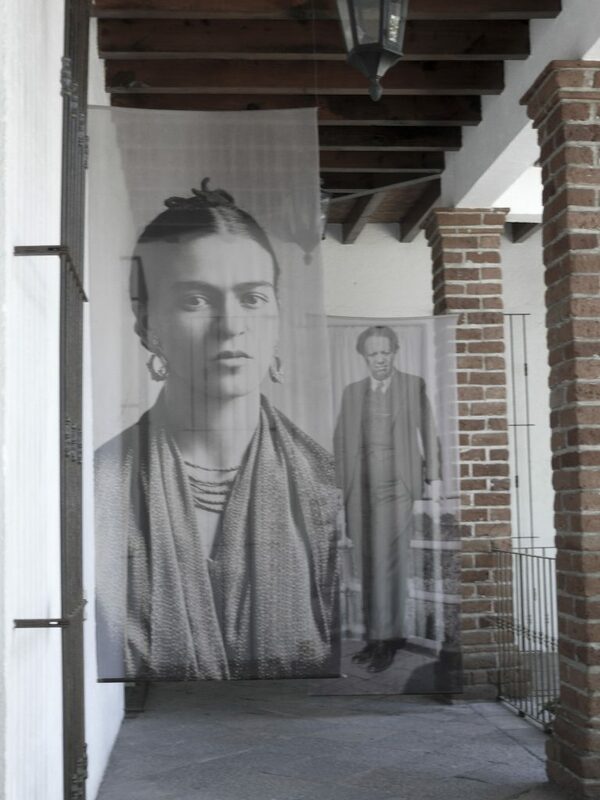 Though much of Frida’s story is very much her own – her passionate lifelong love with muralist Diego Rivera, her accident with a tram, to fertility, miscarriage, childlessness, living with and enduring a life of chronic pain. 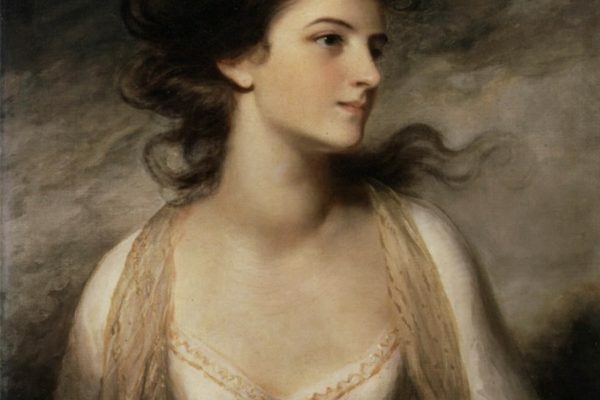 Many of these subjects are still taboo and must have been even more so in the era in which she lived and painted. She was a woman ahead of her time: a feminist with a strong sense of her cultural identity – issues that are as relevant today as they were in Mexico in the mid-1900’s. 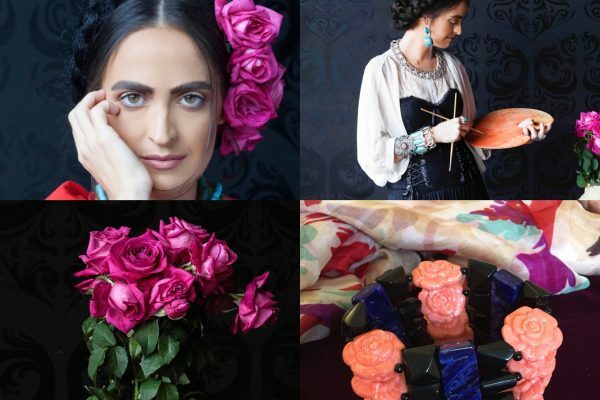 All reasons why Frida’s legacy will live on. 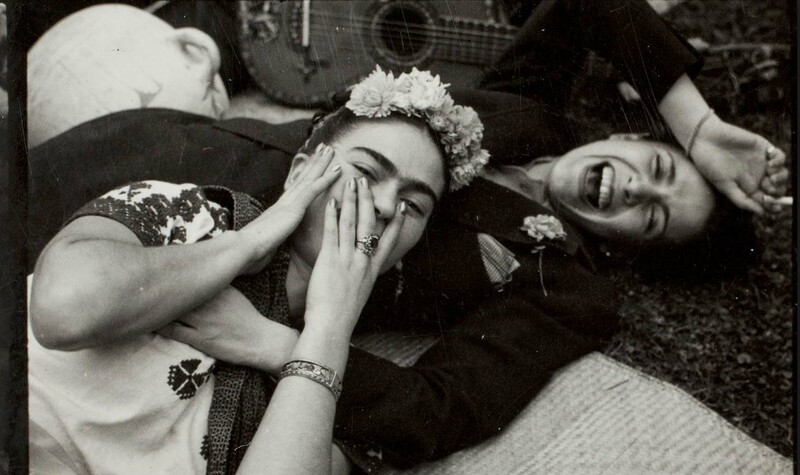 In getting to know Frida and her work, I also became fascinated by her circle of artists, intellectuals and politicians and her own activism focussed on building a better world free from oppression. From photographers Imogen Cunningham, Tina Modotti, Edward Weston, her husband, the mural artist, Diego Rivera to Russian revolutionary and Soviet politician Leon Trotsky – to name a few. Through Frida, I was also introduced to the Mexican Revolution as she often said she was born the year it started. 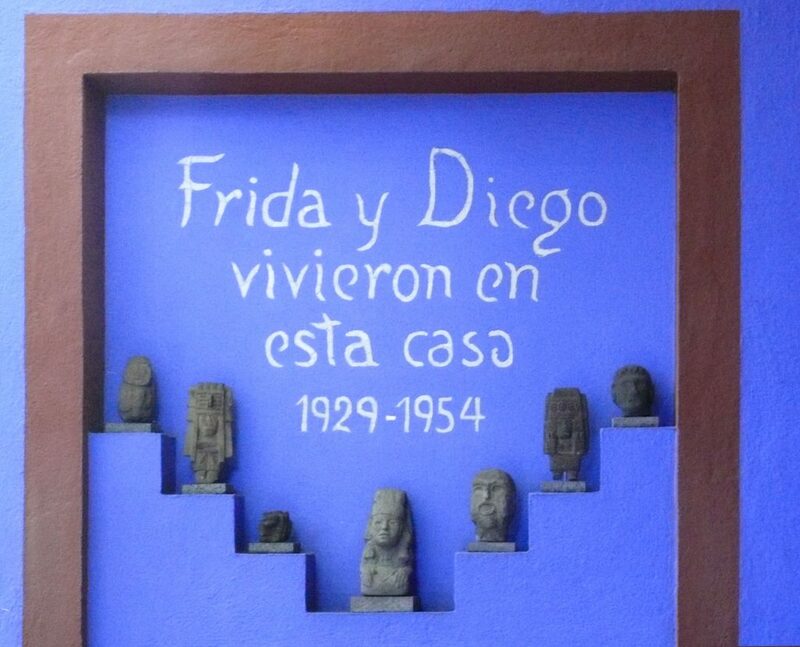 In 2008, my husband and I were in Cancun for a conference and so we took the opportunity to visit Mexico City with the sole purpose of visiting Frida’s house, now the Frida Kahlo Museum. It was so incredible to be in the place she called home! To see her personal belongings, the house she shared with Riviera and the room where Trotsky stayed, her art and where she worked to the bed she painted in. It was amazing and I would love to go back. Back when I was studying for my bachelor’s degree, doing an art elective where I discovered Frida, I would never have imagined that one day (several decades later) I would have my own exhibition focussing on Frida! In some ways, it seems surreal even now thinking about it. But here I am and the exhibition is opening from 5th to 11th July. 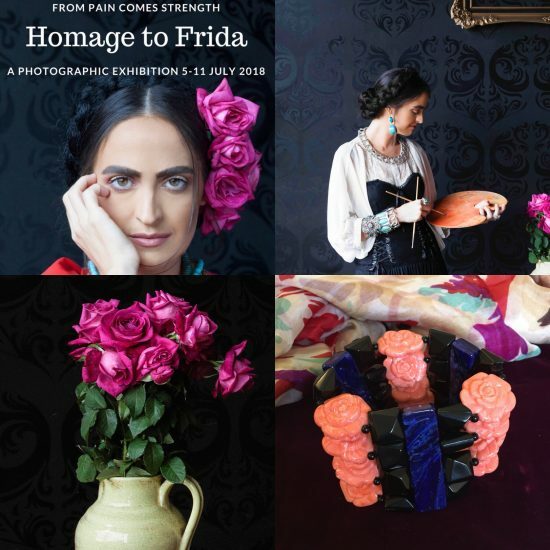 From Pain Comes Strength – Homage to Frida: a photographic exhibition celebrating Frida Kahlo. Click here to read more about the exhibition, the story behind it and what lead the four women to create this body of work, along with information about the events we are hosting throughout the week. I hope to see you there. Frida: A biography of Frida Kahlo by Hayden Herrera first published in 1989 by Harper & Row Publishers in the US. The edition I have was published in 1998 and given to me by my brother-in-law for my birthday in April 2001. Frida Kahlo – the Paintings, by Hayden Herrera. The 2002 movie ‘Frida‘, directed by Julie Taymor and starring Salma Hayek as Frida. Watch the YouTube trailer here. Frida Kahlo 1907-1954: Pain and Passion. Andrea Kettenmann, Taschen 2012 (this book was also a gift from a friend in April 2013). The Guardian has published many articles about Frida from her influence on fashion, the latest Victoria and Albert Exhibition, Frida in New York in 1939 and another titled Frida Kahlo: a life of hope and defiance. 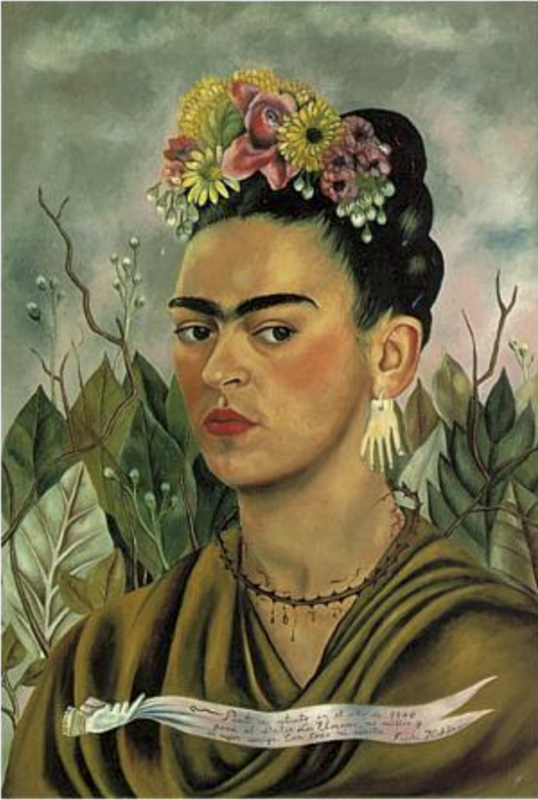 Frida Kahlo and the symbolism in her art in Daily Art Magazine. 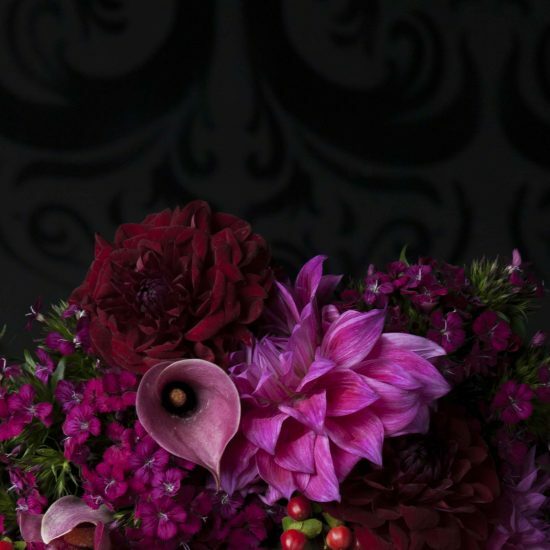 The Life and Politics of Frida Kahlo, The Socialist. And one for young girls ‘Goodnight stories for Rebel Girls‘, Frida is one of 100 stories of extraordinary women by Elena Favilli and Francesca Cavallo published in December 2016. PS: To keep up-to-date with news of the exhibition, join me on Facebook and Instagram. Feel free to share this with your friends.